Boplaas Family Vineyards in Calitzdorp has triumphed at the Cape Port & Wine Challenge 2018 with no less than three inclusions among the Top 10 red table wines and four among the best Ports. Every year, the Cape Port Producers Association (CAPPA) rewards excellence across a range of wine categories. Boplaas, a consistent champion at the event, had its status re-affirmed in the latest edition last week with the selection of Boplaas Ring of Rocks 2015, Boplaas Touriga Nacional Family Reserve 2014 and the Boplaas Tinta Chocolat (Tinta Barocca) 2016. The four wines in the Top 10 Ports were the Boplaas Cape Tawny N/V, Boplaas Cape Vintage 2015, Boplaas Cape Vintage Reserve 2015 and 2016. 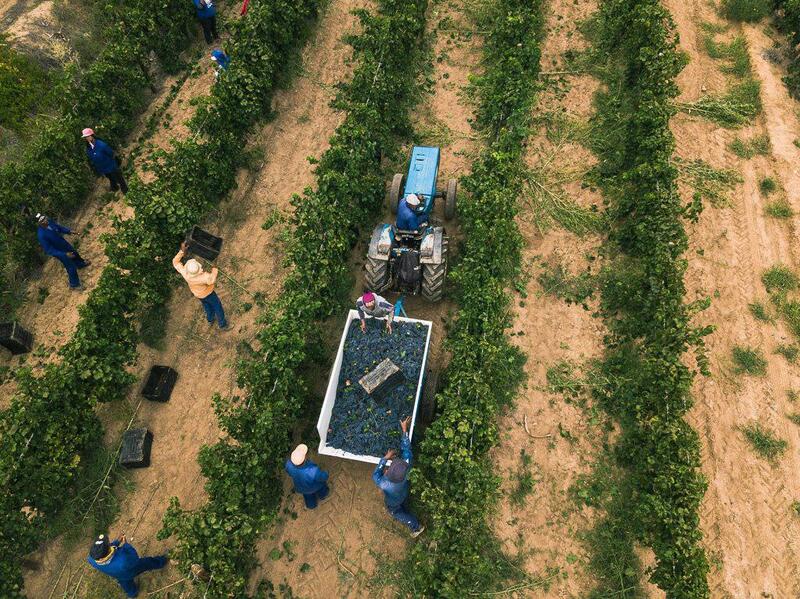 Synonymous with world-class table wines from Portuguese varieties and Cape Port, Boplaas includes among its plantings the red Portuguese varieties Tinta Barocca, Touriga Nacional, Touriga Franca (also known as Touriga Francesa) and Souzao. The suitability of the region for these varieties was realised quite by chance and a fortunate accident or two. The story began in the 1970s, when Boplaas patriarch Oupa Danie Nel returned from a visit to the Swartland with his Chevy El Camino packed with bottles of Pinotage and Shiraz. His friends and neighbours needed no encouragement to make short work of the Shiraz, so the decision was made that this was a variety to plant. Vines were sourced and planted. Only later however was it discovered – in part, by Carel his son who is now Boplaas owner and cellar master – that something was amiss. Carel was still studying oenology at Stellenbosch University back then when it was revealed that his father’s vines were indeed Tinta Barocca and not the intended Shiraz. A trip to Portugal followed and soon the Nels had befriended many of the Douro’s top Port producers. Over decades they were exposed to fine fortified wines, acquiring the art of crafting them too. Among its accolades, the Boplaas Cape Vintage Reserve Port 2015 and 2016 were both crowned overall champion at the SA Young Wine Show in respective editions of the event. The 2015 received 93 points from world renowned wine critic James Suckling and 94 from UK Master of Wine, Tim Atkin. The Boplaas Cape Vintage Reserve Port 2005 was one of the only three Port wines in the Museum Class which showed great longevity after 13 years – testament to the world-class quality and age-ability of Boplaas Cape Ports.